Join us for Resurrection Celebration on Easter Sunday - April 21st at 10:30 am. 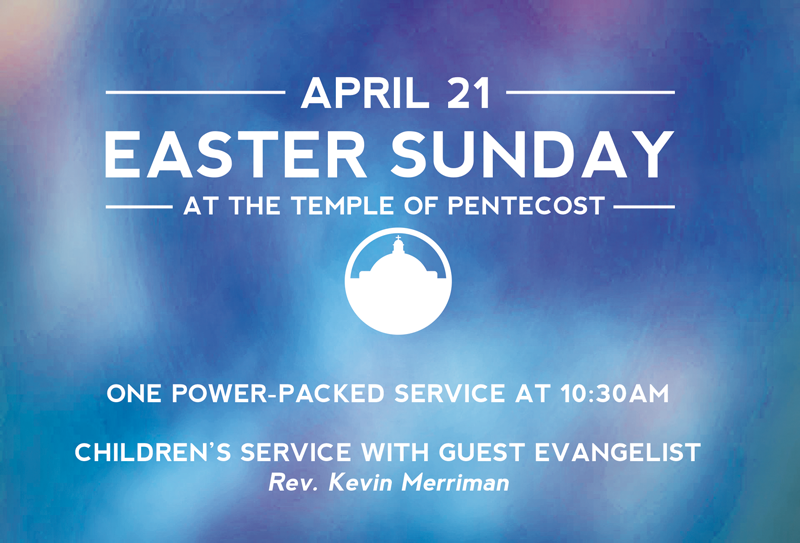 Enjoy special singing, drama presentation, and Easter message. We will also host a childrens crusade in our gymnasium with guest evangelist Kevin Merriman. Also - join us one week prior on April 14th for Palm Sunday, and a special concert with the Wilbanks Singers.